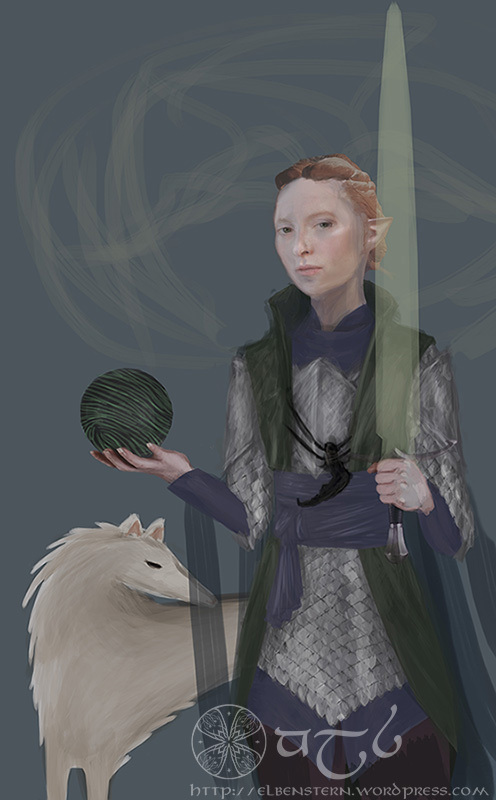 WIP of my version of a tarot card for the elven Inquisitor. Still a long way to go. Posted on January 6, 2015 January 11, 2015 by EldalagrenPosted in UncategorizedTagged blade, character, Dalish, Dragon Age, elf, elven, Inquisition, Inquisitor, knight enchanter, Lavellan, mage, Orb, Romance, Solas, spirit, tarot card.